I have a confession to make...I've never made a pecan pie. I love pecan pie, it's my favorite right after apple. 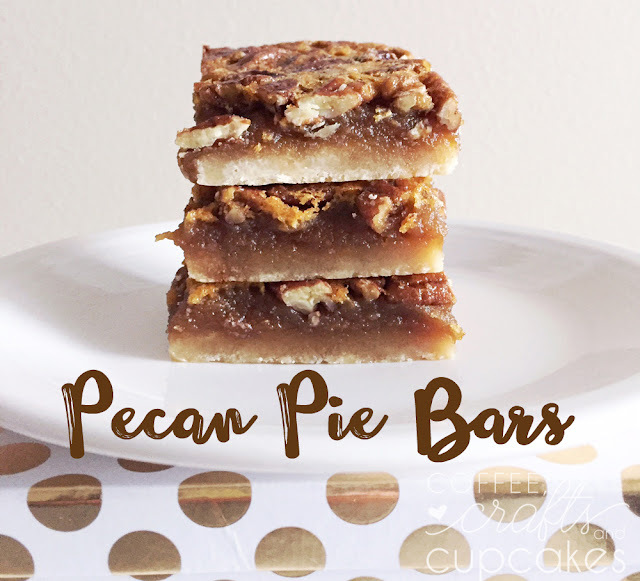 This year I decided to give it a go but instead I wanted to make pecan pie bars. I headed to pinterest to find the perfect recipe. After a little searching I found this recipe from Rock Recipes. It was really so easy and I only had to pick up dark corn syrup at the store, everything else I had on hand. They were so good! Honestly I can't rave enough on how good they were and easy! Even my son loved them and he's not a nut fan. A must for your next holiday get together! You can find the recipe HERE.